Happy Halloween Everyone! I love that it’s on a Friday this year. I’m dressing as a special ops girl in camo and fun accessories. 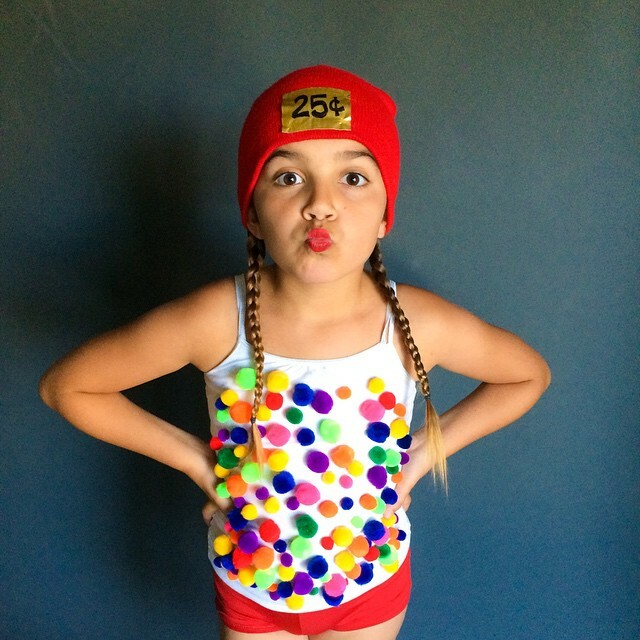 What I really want to share is my friend’s daughter who made her own gumball machine costume. Sooo cute! Not sure how she attached all the pom poms but I’m thinking a glue gun would do the trick. Seriously this is ADORABLE. I’m keeping this idea in my back pocket for next year! 31 Oct	This entry was published on October 31, 2014 at 7:59 am. It’s filed under General Fun and tagged DIY Halloween Costume, Gumball Machine Costume, Kids Halloween Costume. Bookmark the permalink. Follow any comments here with the RSS feed for this post.